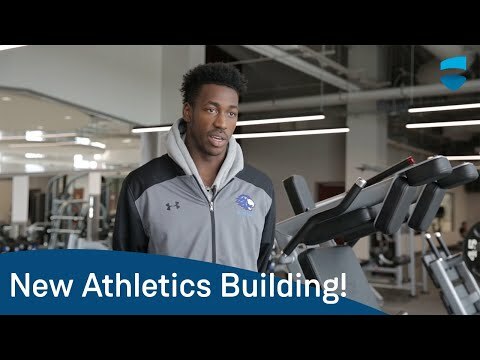 Space for programming, fitness and recreational activities such as varsity and intramural sports is important to the Lambton College student body and a contributing factor to a vibrant campus life. With an increased focus on mental health and well-being, active living plays a key role in a student's overall academic success. Lambton College's existing gymnasium and fitness facilities, part of the college's original infrastructure, cannot support the growing academic programming requirements for physical education, varsity sports and expanded student recreation programs. With a significant growth in recent years, the college's current athletic facilities fall short of those currently available from their provincial counterparts. With more students seeking physical education academic programming, fitness training, and intramural and varsity sports as part of their post-secondary experience, a new Recreation & Fitness Complex will aid in recruitment and retention efforts. In addition to providing a range of student life activities on-campus, this new building will help to attract top student athletes and appeal to community groups and provincial sporting events. The Student Administrative Council strongly supports this project and is committed to making a substantial financial contribution to this important addition to student life at Lambton College.